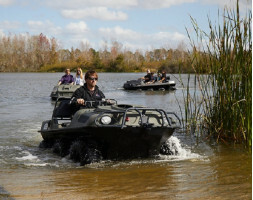 Set in some of Florida's finest countryside within easy reach of the major theme parks, Mucky Ducks are 6 and 8 wheeled self-drive amphibious vehicles seating up to 4 people. 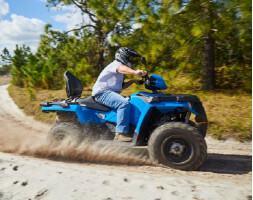 You will travel around 240 acres of the Revolution woodlands, sand trails and of course splash in to lakes and swamp areas..
One of the most popular experiences at Revolution Off Road, is the Polaris ATV single seat drive. 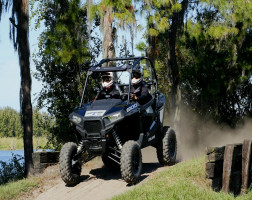 This is a unique opportunity to drive our Sportsman 450 over our 230 acres of tracks and trails. Depending upon the weather the tracks may be dusty or wet but always dirty! 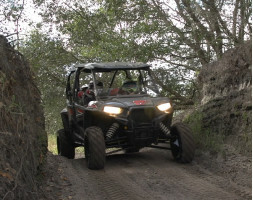 Whether novice or expert t..
Revolution Off Road Polaris RZR experience is set on 230 acres of tracks and trails and depending on the local weather conditions these may include mud holes, dry sandy tracks, grass and even some small hills. It is a self-drive experience and as we run everything by reservation there is no waiti..
Revolution Off Road Polaris RZR 4 Seat experience is set on 230 acres of tracks and trails and depending on the local weather conditions these may include mud holes, dry sandy tracks, grass and even some small hills. It is a self-drive experience and as we run everything by reservation there is n.. This amazingly addictive sport is growing rapidly by the year. 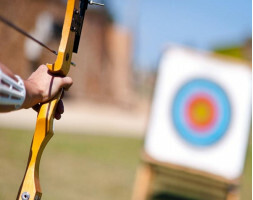 On staff are Level 2 and 3 coaches with the National Field Archery Association for the novice or the seasoned archer who is looking to hone their skills. Class sizes are kept relatively small and are open to ages 7 and up, something f.. Targets flying across the sky look impossible to hit but after some practice and a little guidance from our range master it turns out to be very possible. 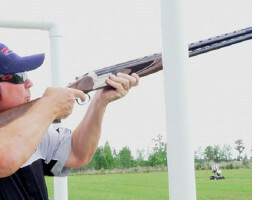 The firearm of choice for this experience is a high-quality Tri-Star double barreled over and under shot gun with a 26 inch barrel. Includes 3..